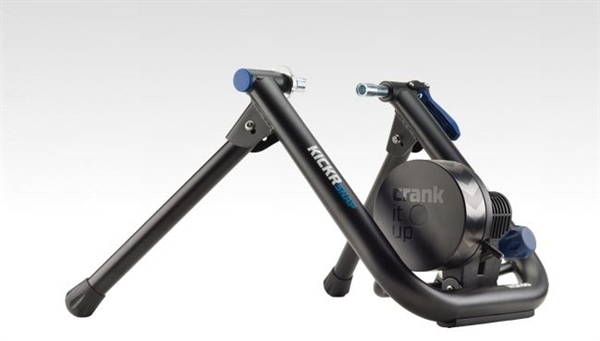 Product information "Wahoo Kickr Snap Trainer Pain Cave Set"
With the Wahoo Kickr Snap Powertrainer Bundle you get the full equipment for your Training Room. The Wahoo Kickr Snap Trainer are the perfect tool for your training, data recording and analysis, the Kickr Floormate are water proof, and holds you trainer on the perfect place. Wahoo Fitness desk are the ultimate for your Tablet, Smart Phone and your computer to control your training. Get up from the couch, and crank it! Wheelsize: 650c, 700c, 26", 27.5", 29"
Related links to "Wahoo Kickr Snap Trainer Pain Cave Set"
Customer evaluation for "Wahoo Kickr Snap Trainer Pain Cave Set"